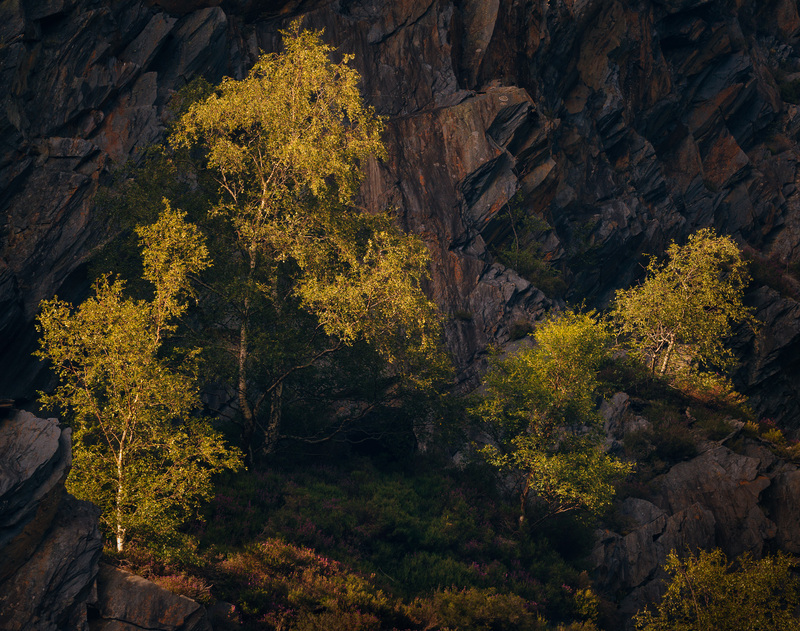 The quarry in Ballachulish is a treat in the right light. In the seams between slate layers, soil gets trapped, forms a home for mosses and heather, bilberry and eventually birch trees. The glancing late light of the summer sun alight on branches, limned in gold. Outstanding image Tim! I confess I wanted to see what it looked like in monochrome, and even a quick and dirty conversion produces a stunner. I doubt you’ll run out of images in your project. Ooh – I’ll have a play with Monochrome later… thanks!